With fall right around the corner, we love adding a few apple inspired activities to our shelves! Even for younger kids, a few fun apple themed activities are perfect for this time of year! 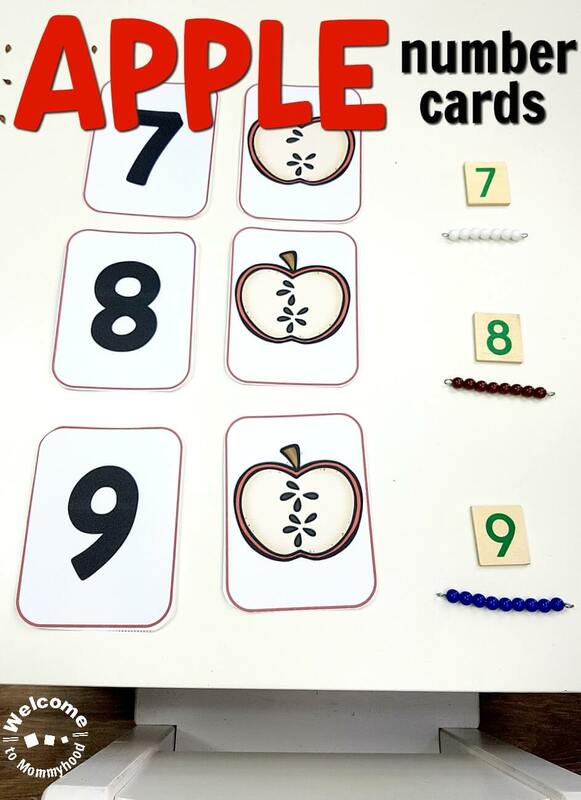 Today, I’m so excited to be sharing some adorable apple number cards that can be used in multiple ways to help toddlers or preschoolers recognize numbers, practice one to one correspondence, or even introduce skip counting. We love using number cards for practicing and reinforcing counting for Y. In fact, cards like these alongside a hands-on component, such as using a manipulative, really helped him to learn one to one correspondence and number quantities. I created these specific cards to be versatile in use, but the main idea behind them was to use them for one to one correspondence activities. One to one correspondence is basically a ‘fancy’ way to say that, for example, two apples means two of something.When children learn number order and the symbols, it is very important that they also learn to recognize how much a number represents. I keep our materials presented tidily on a tray, and all of the objects are in a bowl or on a plate to prevent them from moving around on the tray. Also, keep in mind that if your child is just learning number quantities and number order, you may not want to present all of the number cards at one time. We started off working on numbers 1-3, then 0-5, and then 0-9. Your child should then place the number cards in order. Afterward, they can place one of each manipulative onto each image of an apple on each card, counting as they go. You can also use these cards to reinforce skip counting to your child. You can do this simply by presenting only the cards needed to count by 2s or 3s. Then, ask them to do so. The same idea can be used to reinforce the concept of odd or even. 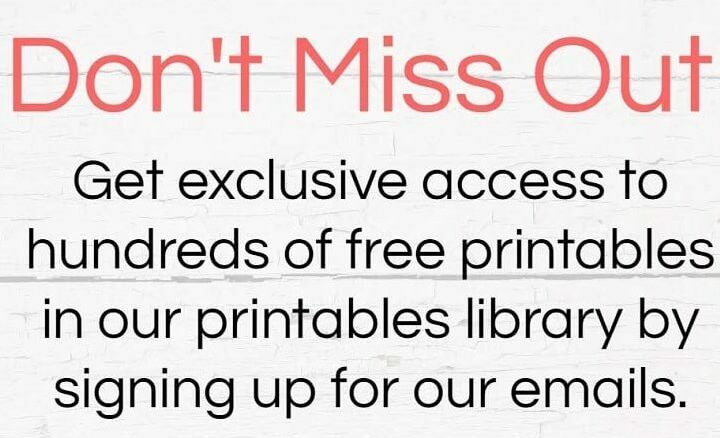 Get your own Apple Number Cards for free!